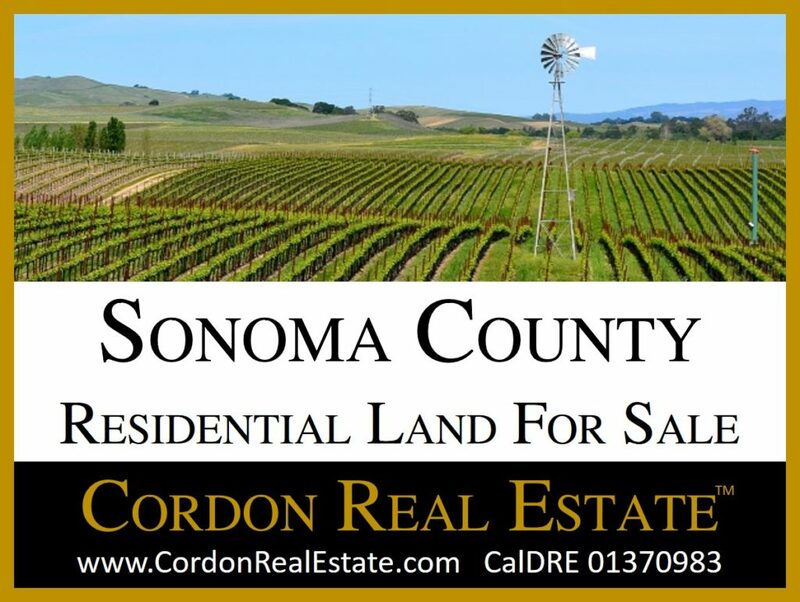 Sonoma County residential land is available in both downtown areas (e.g. Sonoma, Santa Rosa, Healdsburg, etc.) and in suburban and rural neighborhoods among the vineyards, groves and canyons. Most of the parcels shown below are zoned for single family homes, ranging from small lots to sites that include substantial acreage and private vineyards. Many have existing structures on the lot, either homes, barns or vineyard buildings. There are also larger tracts of land available for development throughout the County.